1. 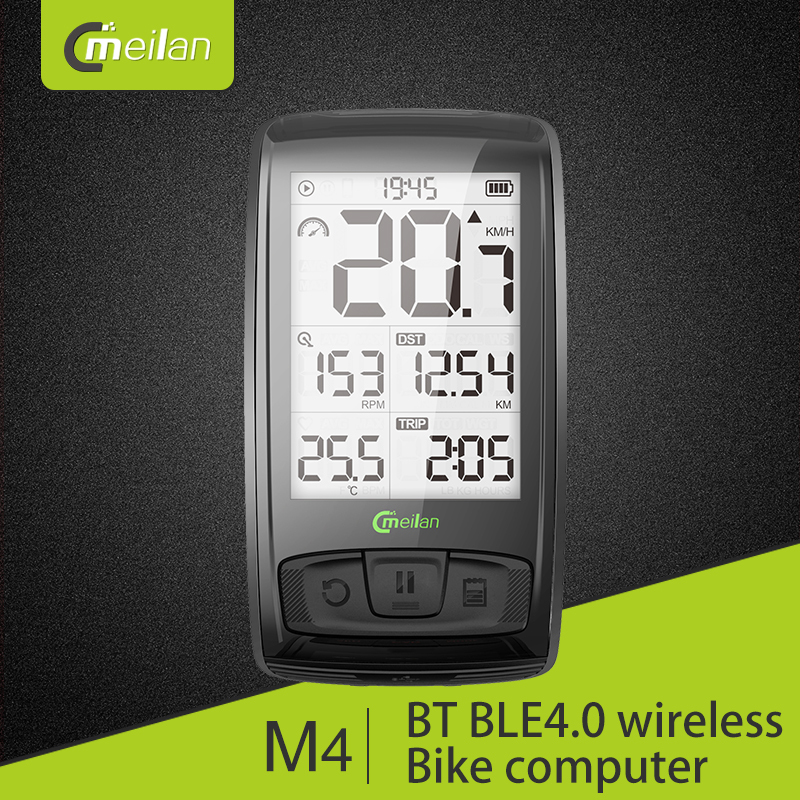 Using Bluetooth BLE4.0 and ANT+ dual mode technology, it can wireless connect with bike computer that conforms to standard Bluetooth 4.0 and ANT+ protocol. 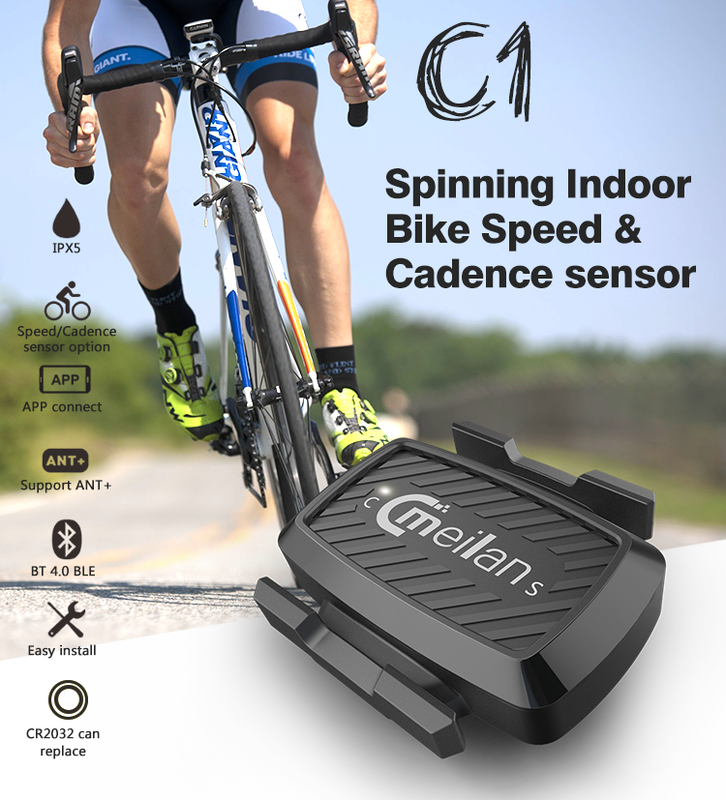 2.Single channel, collect speed or cadence data.One change-over switch. 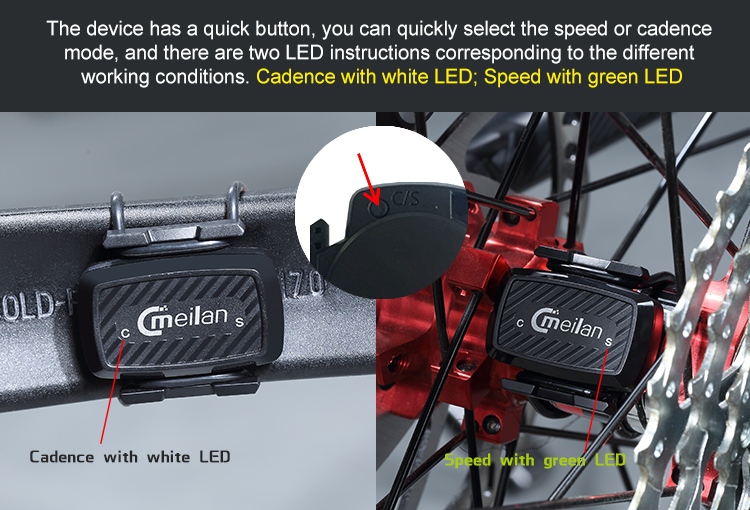 Two LED indicators, white: cadence; green: speed. 3. 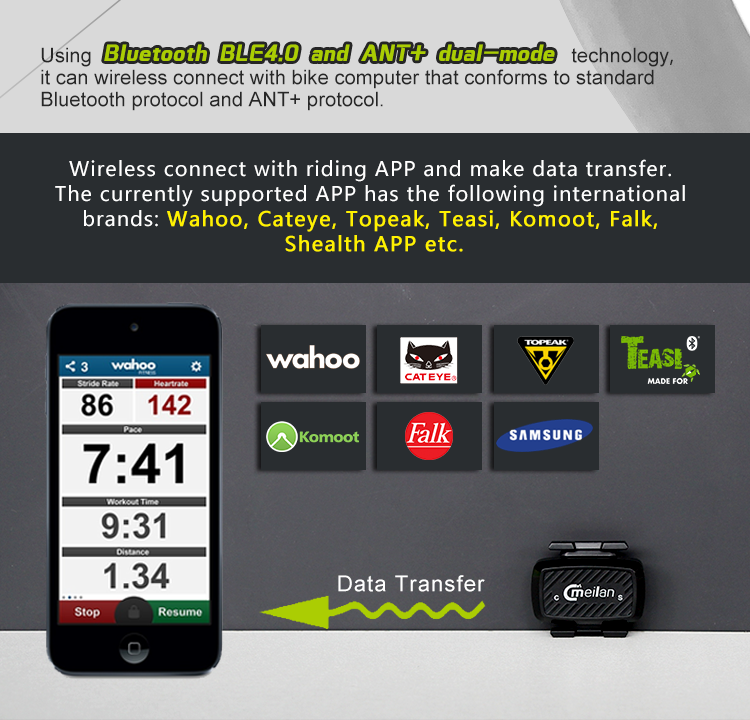 It supports wiress conecting with cycling APP and computer like Wahoo, Cateye,Topeak, Teasi, Komoot, IBEX core, Meilan, etc. 4. 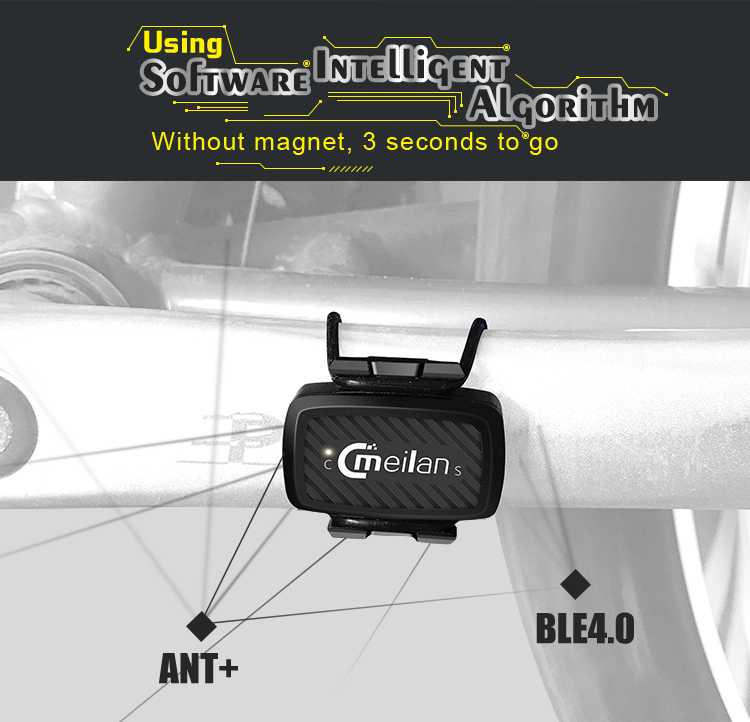 No magnet, easier installation, 3 seconds to go. 5. 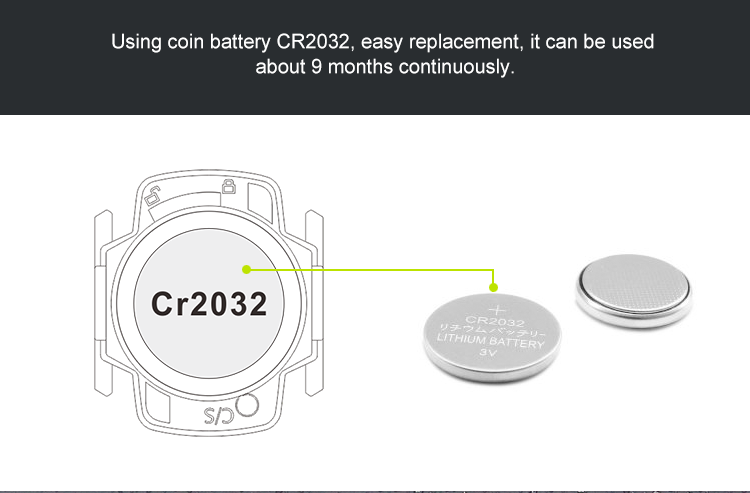 CR2032 coin battery inside, replaceable, can be used about 9 months continuously. 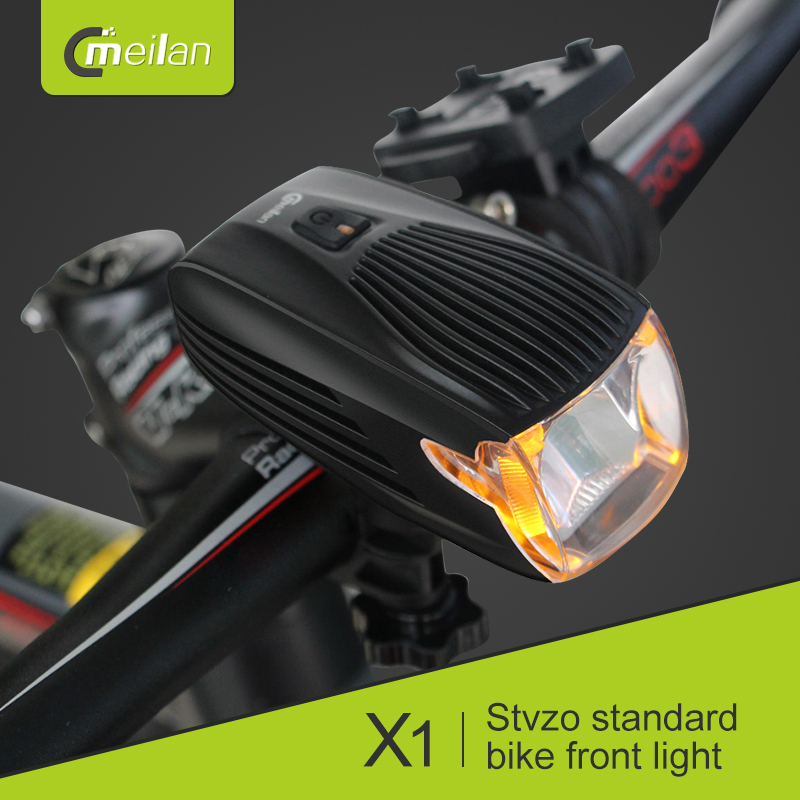 Supply ODM like bike light and bike computer. materials and workmanship and we are 100% sure that you will be totally satisfied with your purchase. Q1: How can I get a sample for test? A: Sample order for 1-5pcs are acceptable with sample cost. Q2: What is your lead time? 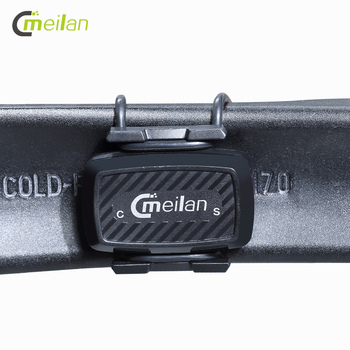 A: For sample, within 24 hours after payment and about 25-30 days for mass production. Q3: How to proceed the order if I need printing our logo on it? 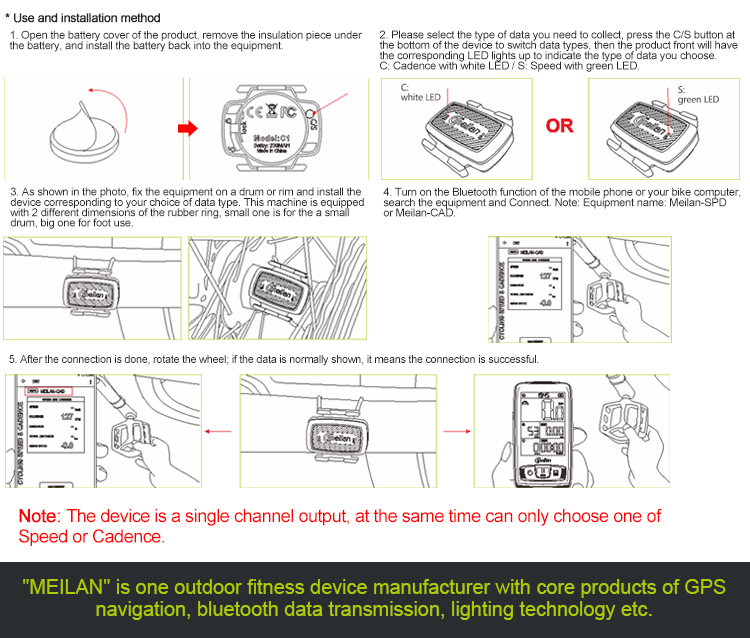 A: OEM and ODM are welcomed, we can do customized artworks as your request. 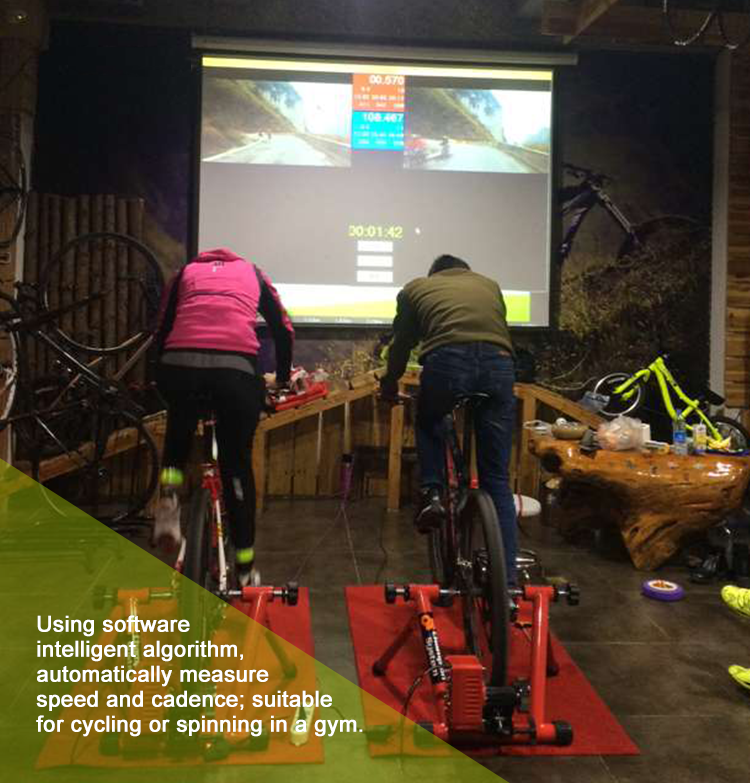 Q4: Why you choose us ? We provide OEM service ,custom your logo both on the product and the packing you want ! 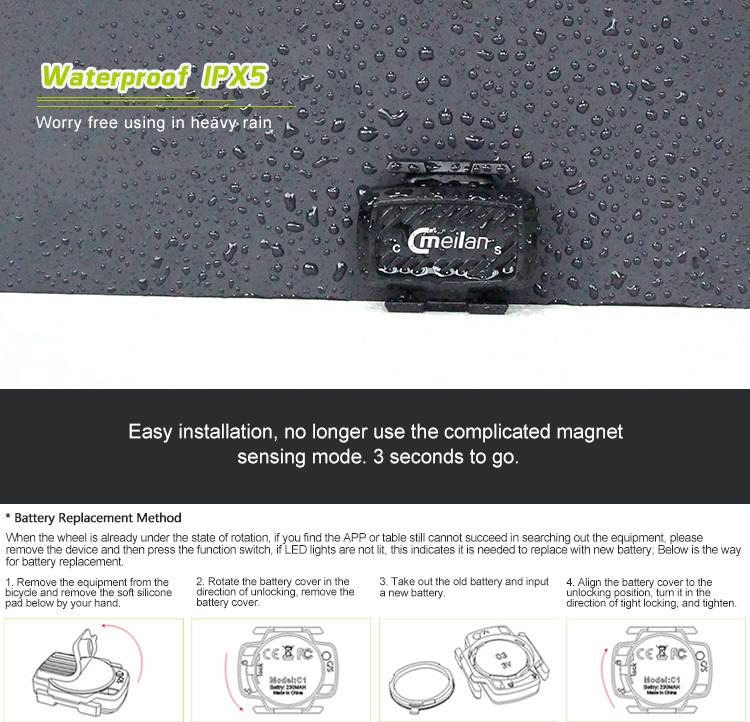 High quality products ,all of the products must passed strict QC before shipping , 2‰ defective rate ! Fastest response rate ,save your time and easy your business ! Most of the goods are in stock , Welcome to order now. 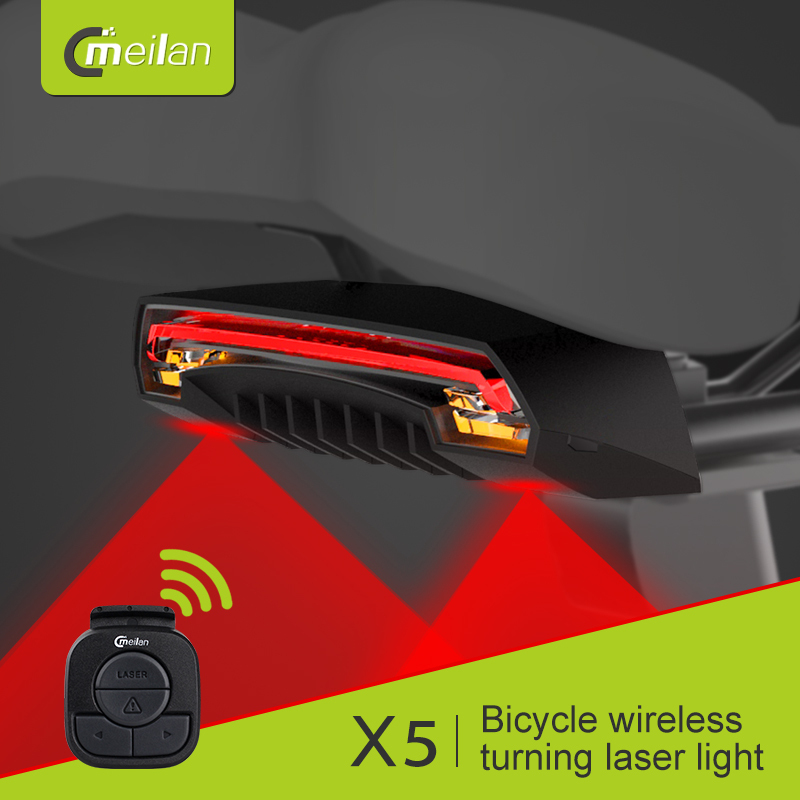 Shenzhen Meilan Technology Co., Ltd.